Priya Archana is a 13 year old girl. Priya is the eldest of 3 children in this family. They rely on income from their step-father's casual labouring job to feed the entire family which leaves no money to pay for school fees and related costs. 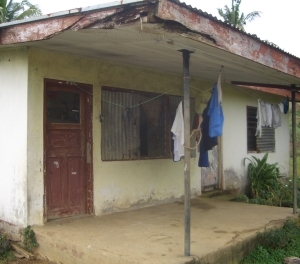 The small house they live in is owned by someone else and the family relies on this for somewhere to live. 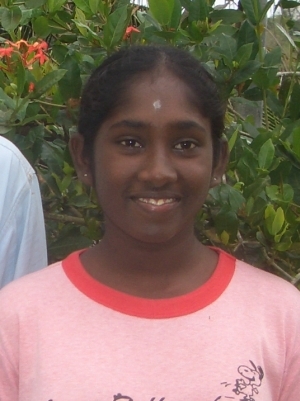 Priya Archana enjoys attending school and walks 3 km each way to get there every day. Her favourite subject is Hindi. When she grows up, Priya Archana wants to be a chef. Priya's father faces great difficulty educating 3 children. Sponsorship support would be a great help. (Priya’s Head Teacher has asked Fiji Kids! to prioritise her application for support). Priya Archana is now sponsored.